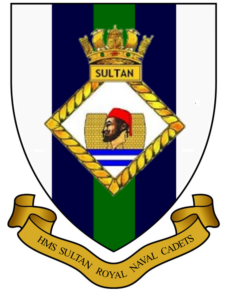 HMS Sultan’s Royal Navy Cadets were established in 1979 and has grown from strength to strength over the last four decades. We are lucky to be based within the historic Fort Grange, built in the 1860s as part of the nation’s defenses against the threat of French invasion. This fantastic facility places us in the heart of day-to-day life at HMS Sultan and means we benefit from the invaluable support of our parent establishment and ship’s company. “To provide opportunities for young people to develop into responsible, dependable and useful members of society”. All of our cadets get to wear the traditional Royal Navy Number 1 uniform as well as being the first cadet unit to be issued with the current PCS working uniform issued by the Royal Navy. The cadets take part in parades and community activities including the annual Remembrance Day events – our cadets on parade in November 2016 even appeared in the national press. Our youngsters enjoy their cadet training, particularly the competitions in military and naval skills, as well as wide variety of sports, all whilst developing an awareness of their community and the wider naval service. In addition to instruction in skills and sports, VCC cadets also get the chance to attend weekend and summer camps during school holidays and to represent their units at major public events such as Armed Forces Day. One of our most popular activities is the cadet Field Gun. Based upon the traditions of the Royal Navy Brickwoods field gun competition held at HMS Collingwood, cadets can join our active and well-known field gun crew competing against the other VCC units for individual and team trophies. This challenging activity sees our cadets pull an original Boer War 7lb field gun, weighing over a third of a ton, across an 85-yard course whilst swapping the wheels to simulate crossing an obstacle, bringing the gun into action, and then retiring over the finishing line. Each gun wheel weighs in at 70 pounds, about the same weight as one of our cadets, and after running at full speed the cadets can certainly be seen to be earning their victory. This really is an active competition which requires the cadets to fully embrace the naval service core values in order to achieve their end goal of winning the Command Trophy. Like our other VCC units, our recruits undergo basic training for about 4 to 5 months as they are introduced to drill, map reading, navigation, first aid, field craft and RN history. The recruits’ training finishes with a weekend camp based out of the fort where their teamwork skills are put to the test before their ‘Caps On’ ceremony in front of very proud family and friends. Having ‘passed out’, our cadets can join our other cadets for their Naval General Training. We are open to any youngsters aged between 9 and 17 who live in the local area, and accept applications to join before the age of 9 for our waiting list. Our cadets come from a wide range of backgrounds, united as one unit in the spirit of teamwork and mutual respect. By joining HMS Sultan RNVCC, these young people put themselves out of their comfort zone, accepting new challenges on a daily basis whilst giving them the skills and developing their personal qualities to be able to stand head-and-shoulders above their peers. We are constantly seeking to improve the cadet experience; looking to provide greater opportunities for our cadets to learn, develop and most importantly- have fun! The VCC is run entirely on the hard work and dedication of a team of cadet force adult volunteers. Volunteers come from a wide range of backgrounds from ex-servicemen, civil servants, emergency services, ex-cadets, interested parents and many more, all contributing to the success and well-being of the cadets. As a CFAV we ask only that you adhere to our governing regulations, and contribute positively to the welfare and safety of our cadets. We welcome the support of new volunteers whether that be in uniform, supporting the instruction and engagement with the cadets, or as non-uniformed staff, providing the much needed and valued administration and support roles within the unit. If you would like to join, as a cadet or adult volunteer, or would like some more information, we would love to hear from you. Please do call us, or drop the unit an email using the details below. 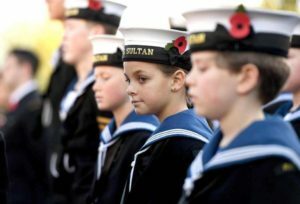 Address: HMS Sultan RNC, Fort Grange Keep, HMS Sultan, Military Road, Gosport, Hampshire, PO12 3BY.